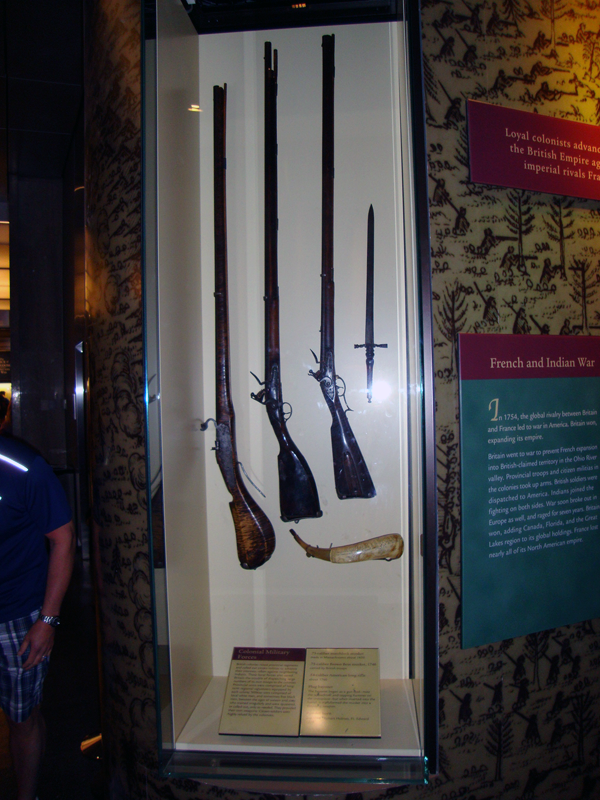 The Original Newtowne musket is currently the first item on display in the American Military History Section of the Smithsonian's American History Museum. 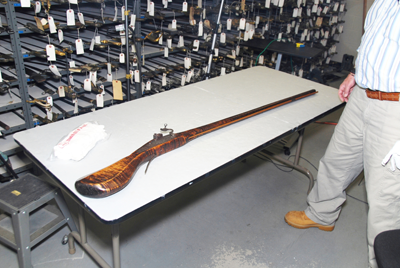 To commemorate National Guard’s 375th birthday (on December 13th, 2011), The Enlisted Association of the National Guard of the United States (EANGUS) has commissioned authentic, hand-crafted replicas of the Newtowne Musket, with the permission and license of the Smithsonian American History Museum. 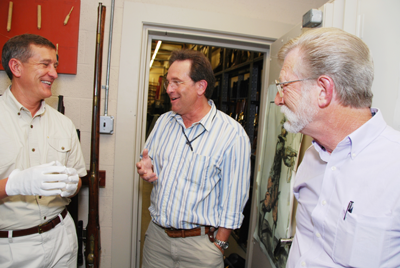 EANGUS Executive Director Al Garver spearheaded the project in Washington, DC, in May 2011. 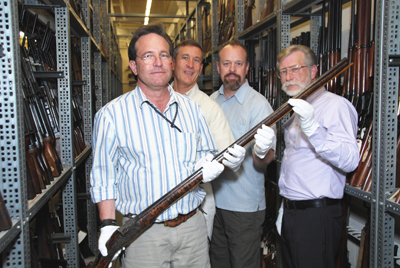 On July 22, 2011, custom musket maker Jess Melot traveled from Oklahoma to our nation’s capital, where he disassembled, measured, and photographed the original Newtowne Musket. 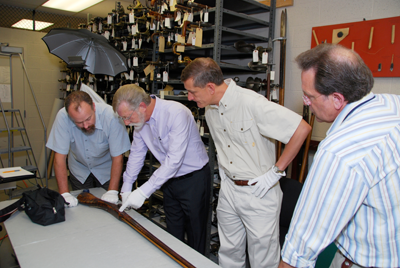 This process was aided and overseen by David Miller, Military Collections Curator at the Smithsonian. 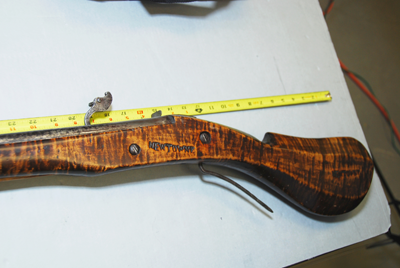 Jess Melot, owner of The Rifle Shoppe in Jones, Oklahoma, is one of the premiere handmade musket makers in the world. 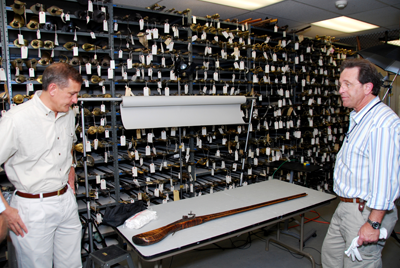 After his hands-on inspection of the Newtowne Musket inside the Smithsonian weapons vault, he now believes the original Newtowne Musket could be considered the first American-made musket, because of its many unique features that set it apart from other European matchlocks of that era, including: stock design, type of wood, and metal work. 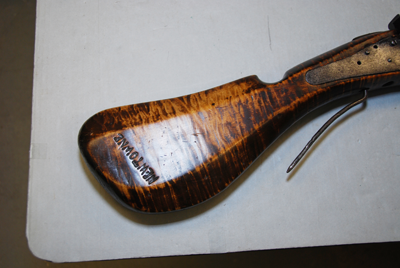 Jess Melot set to work with unmatched enthusiasm to build “Replica #1” for within three weeks. 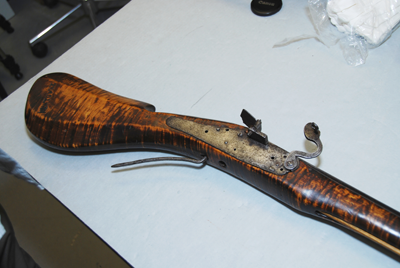 His stunning hand-made musket made its debut at the 40th Annual EANGUS National Conference in Charleston, West Virginia, on August 15, 2011. 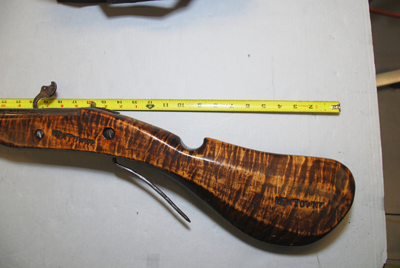 By mid-September, EANGUS had secured 18 orders and interest in the commemorative weapon began increasing dramatically, with a total of 81 orders to date. 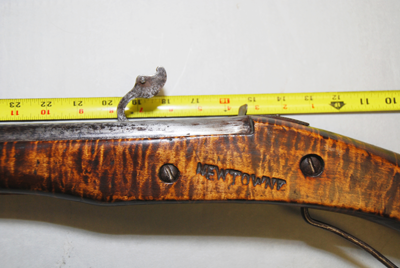 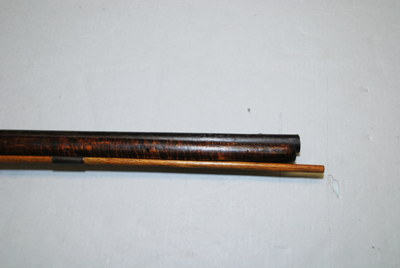 In recent months, Replica #1 has been inspected by experts at the Smithsonian and National Rifle Association Museum, and all have lauded the craftsmanship demonstrated by Jess Melot and The Rifle Shoppe, noting he had done an incredible job of matching the original down to the finest details.